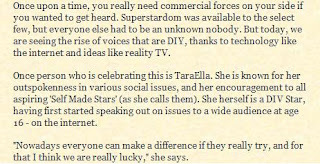 TaraElla: Welcome to a new season of the TaraElla Report. From now on, we have a new format, where I chat with my friends about cultural and political issues. All of us are individuals who are simply looking for more freedom, and many of us have been confused by so-called leaders from all sides, offering non-solutions with hidden agendas attached. I believe that it is only through amplifying the conversations of everyday individuals that we can cut through the nonsense and bring back freedom. Today's conversation is with Katie, an old friend of mine with whom I have had political conversations going back to our college days. We have had both convergent and divergent periods in our political evolutions over the years. A lot has happened since, say, Bush left the White House, and the past decade was perhaps the most chaotic one since the 1970s. Today, I'm more of an independent while she identifies as a progressive, even though she is also questioning where the progressives are heading. However, we still share similar hopes and concerns over many issues, for example being anti-war, because we are both individuals committed to freedom, even if we don't know exactly how to get there. So without further delay, I'll let Katie introduce herself. Katie: I got interested in politics during college, around the time of the 2003 Iraq War. I remain staunchly anti-war today, and I am happy to see that a new generation of leaders like Tulsi Gabbard are running on an anti-war platform. I guess for many of us, being against the war meant being against Bush and his political allies, so we were progressive by default. I have continually identified as progressive over the years, even though I have had periods of questioning. For example, my faith with progressivism was quite tested during the SJW era around the middle of the decade, where things got a little too crazy. But I still stood by my values, even if I don't agree with their behaviour. More recently, I started to question where my fellow progressives are heading. They seem to have become unconsciously prejudiced against people with religious values, for example. I even think this is why some progressives have been reluctant to support Tulsi Gabbard, who is a Hindu, and Pete Buttigieg, who is a practising Catholic. In particular, Tulsi Gabbard's Hindu faith has been the focus of a low-key smear campaign. 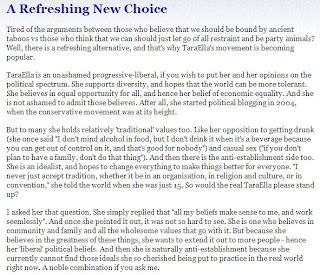 TaraElla: I think I have seen quite a bit of the anti-religious thing going on in the left too. For some people on the left, they seem to have an attitude that religious people are not welcome, including even those who don't force their values onto others. I even suspect that some Democrats may have gotten the same message, hence their reluctance to publicly discuss their religious faith, compared with, say, Barack Obama back in 2008. By doing this, they earn the support of a certain kind of leftist, who almost openly disdain the way that people like Tulsi Gabbard and Pete Buttigieg talk about their faith. And I think this is quite a worry, both as a religious person from a Buddhist family myself and as somebody who is concerned with the future of freedom, since freedom of religion has always been the most essential freedom, the cornerstone freedom of classical liberal history. You can't have true freedom of religion if there is a social penalty for being religious. Katie: I agree. The religious have always been an important part of progressive movements historically. Religious groups were central to civil rights back in the 1960s, and they were also central to numerous anti-war movements. The exclusion of the religious is a new development for the left. And I think it stems from a wider problem of the left becoming a club for so-called intellectuals who all think a certain way. Let's face it: your typical left-wing activist is extremely unlikely to have a background like Tulsi Gabbard's. Instead, much of the current left-wing activist establishment is heavily staffed by people who studied certain humanity subjects in college, and are hence heavily influenced by the way of thinking that is dominant in those parts of academia. Religion is often seen as bad in that way of thinking, but it's not just religion. Ideas like postmodern philosophy, particularly the ideas of Michel Foucault, and ideas around identity politics, from thinkers like bell hooks, have become part and partial of the worldview. To be part of the elite club, you have to share the worldview. I guess that, besides being religious, Tulsi Gabbard and Pete Buttigieg are also more generally seen by these elites as people who have a backwards worldview, which is ironic, because Tulsi is staunchly anti-war which is the most progressive thing. I even suspect that the repeated bad faith attacks on Tulsi's past gay marriage views are basically a dog whistle to remind the elitist left that she is not one of them. TaraElla: Absurd as it sounds, you are probably right. In the Foucauldian postmodern worldview, politics is about identity-based power and oppression, and there's no room for the basic notion of service above self, and standing for what's morally right. It is clear that old-school progressives like Tulsi Gabbard and Pete Buttigieg don't fit their criteria. I mean, they probably think that Tulsi Gabbard should focus on complaining about oppression against women of color and Pete Buttigieg should focus on complaining about oppression against gay people, and since they don't do that enough, they must be right-wing. In my experience, in the eyes of the elitist postmodern left, you are not a 'progressive' unless you don't care about religious freedom, you play identity politics and claim oppression wherever you can, and you speak in the language of Foucault and bell hooks every now and then. In fact, in postmodern philosophy, there's no such thing as right and wrong, and everything is relative. But one of the things I love about Tulsi Gabbard and Pete Buttigieg is that they clearly know that there is a right and there is a wrong. It is because Tulsi Gabbard knows that fighting unnecessary wars is wrong that she has set out to end this practice, for example. Their progressivism is a moral progressivism, just like that of Lincoln. I, for one, would strongly prefer our leaders have a sense of what's morally right and wrong.